Ever wondered what time of day your messages perform the best? We've made it possible using a combination of Smarty, batch message throttling and stats filters. In our example, we'll add a couple lines of Smarty code to the top of our message code, throttle the batch message send according to the hours we want to test, and then filter the message stats based on the message send times. We can then analyze performance based on opens, clicks or any of the available KPI's. In the example below, click on the tabs to view the message code, the scheduled sending setup and the filtered stats results. For the message code, we will use a combination of two Smarty tags to render the current time and then use that time as a Stats Filter Send Tag. The following Smarty code will set a variable called hour that is populated with the current time (in PDT) when the message sends. To further customize the time format learn about date and timestamp variables. Next, we'll create a stats filter send tag using the time variable we created above. This will enable us to filter our stats based on the time of day that the message was sent. Place both Smarty tags at the top of your message proceeding any HTML code and save your message. Next, set up your message throttling for the times you would like your message to send. 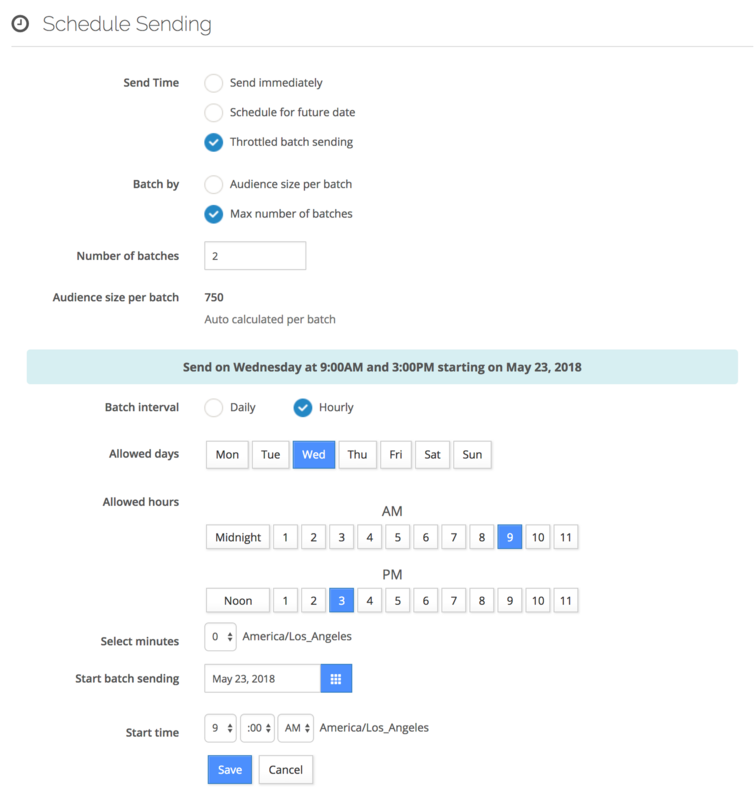 After choosing which hours of the day you would like to test, set up your sending schedule accordingly. For our example, we want to test how a message performs when sent at 9AM vs 3PM. We'll set up our schedule to send the messages in 2 batches, one batch at 9AM and the remaining batch at 3PM. 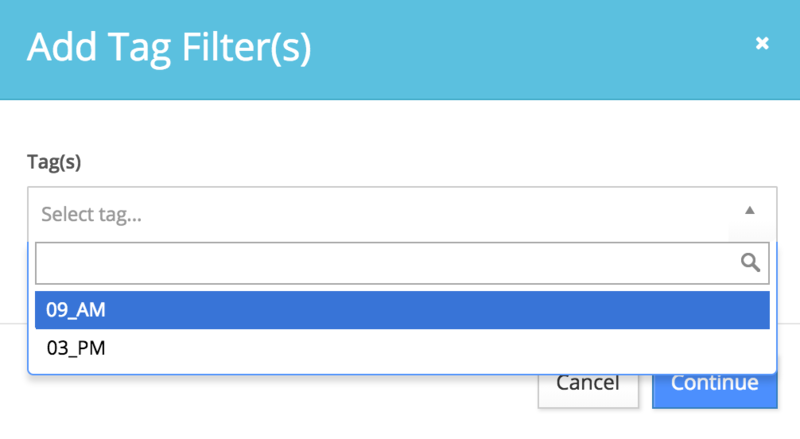 Click the Filter by Tag button to add the desired filters to the table. Available tags will be displayed in the dropdown based on the the throttled batch send times. In our example we have tags for 9AM and 3PM. Once you've added your send tags, you'll be able to view message performance for each tag. In our example below, we can see that the message sent at 3PM had more more opens (134) vs the message sent at 9AM (108).